After meeting Joe and Stephanie, we just knew this was going to be a fun wedding. They seemed like such great people. We arrived at the MSU Alumni Chapel in the morning, where we took some getting ready photos. 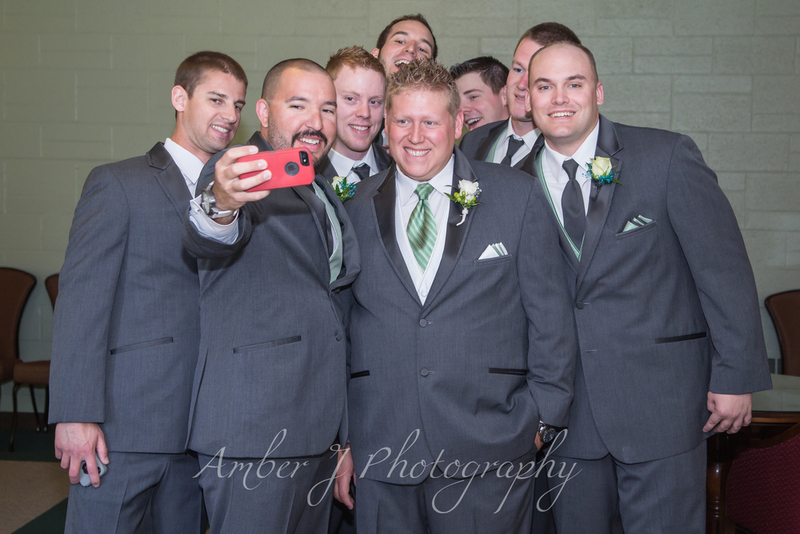 The groom and his groomsman took the opportunity for a quick group selfie! You could just feel the excitement in the room. The ceremony was beautiful. After the ceremony we headed around campus for some photos in the garden and, of course, at the Sparty Statue! The reception was held at the Huntington Club. 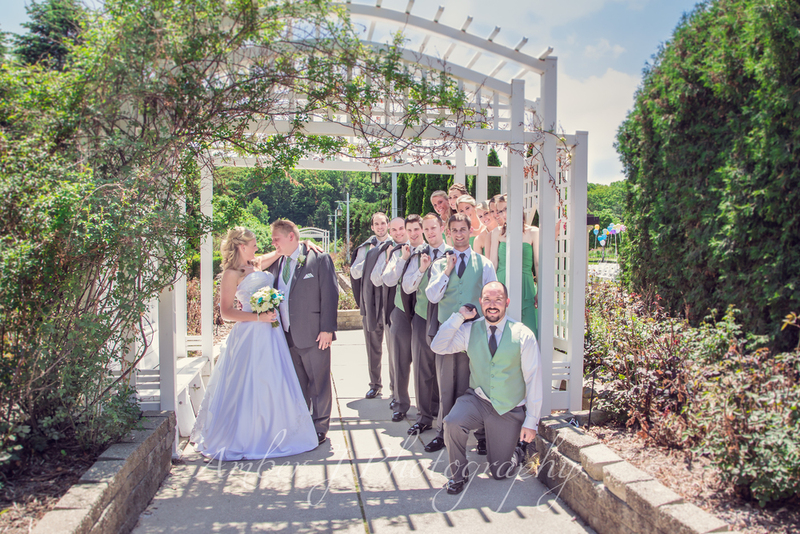 We arrived before the bridal party and had the opportunity to take some photographs before the guests arrived. Something that made this reception truly unique was the First Dance of the bride and groom. They had a Cloud Dance. It was incredibly romantic. The emotions were high for the Father/Daughter dance, and you could just feel the love between them. Toward the end, the sister of the bride joined in the dance. The reception is where the party really got started! It was loaded with fun. 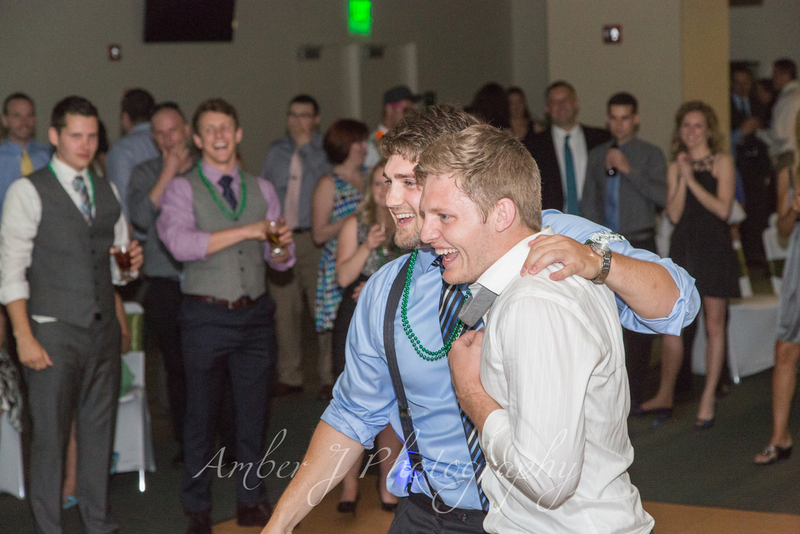 The garter was wrapped around a football and thrown to the waiting gentlemen. In the process of flying through the air the two were separated, allowing two different men to catch each piece. Well, of course a winner had to be chosen, and what better way to do that than by a Dance Off!